Coming to be known as the “Friar Servants of Mary,” others joined the first seven on Monte Senario, and as the group continued to grow, the seeds of the new religious Order took root. The Friar Servants of Mary were approved as a religious Order by the bishop of Florence sometime between the years 1240 and 1247. In the year 1304, the Order of Friar Servants of Mary received definitive approval as a religious Order in the Church by the Holy See. Today, we serve in nearly all countries of North and South America. In addition, we are found in Europe, Africa, Asia, and Australia. From a humble beginning we have been blessed with a long and rich history. We still, like our Seven Founders, go where the needs of God’s people demand that we go. And we still seek the perfection of the Gospel way of life under the protection of Mary, the Mother and Servant of the Lord. Our seven Fathers were born and grew up in the city of Florence. Drawn together by friendship and devotion to the Blessed Virgin, they gave themselves to common prayer and works of charity. Their desire to serve God eventually led them to leave their homes and their businesses, and to form a community outside the city walls. About the year 1245 they moved to Monte Senario where, for a time, they followed a life of prayerful seclusion. As others came to join them, they laid the foundations for the Servite Order, whose members would be committed to the service of the Lord and others. They promised to follow Christ and witness his gospel; they took the Blessed Virgin as their Lady; and they lived communal life according to the Rule of St. Augustine. Pope Leo XIII canonized them as the Seven Founders of the Servite Order in 1888. 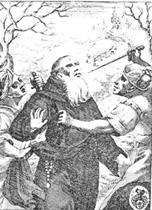 In 1283, St. Philip Benizi, prior general of the Friar Servants of Mary, attempted to lead back to obedience to the Apostolic See, the citizens of Forli, then under interdict. He was driven out of the city with insults and violence. While he was praying for his persecutors, one of the crowd, an eighteen year old by the name of Peregrine, repented his striking of Philip and asked him for forgiveness. Philip received him with love. A few years later, guided by Our Lady, he received the Servite habit in the priory of Siena where he dedicated himself to her service. Peregrine returned to his native Forli and passed his life as a friar in prayer, in devotion to Our Lady, in penance, and in helping the poor. Struck with a cancerous sore on his leg, he was miraculously healed while in prayer before an image of the crucified Christ. Because of this, his intercession is sought with great faith by the sick, especially by those with incurable illnesses. In St. Peregrine, the Servites see realized their ideals of service, prayer, devotion to Our Lady, and love of others, especially the poor. Peregrine was canonized in 1726. 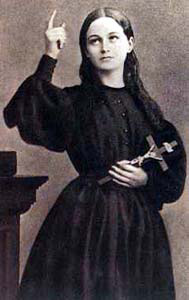 St. Clelia Barbieri was born February 13, 1847 near Bologna, Italy. Her early years were passed in great poverty. In 1868, together with three companions, she founded a community to care for abandoned girls and to provide for their education. She died at the age of twenty-three on July 13, 1870. From the small group she founded was born the religious family of the Minims of the Sorrowful Virgin. She was canonized by Pope John Paul II in 1989. Her feastday is July 13th. 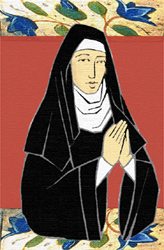 St. Juliana Falconieri, of Florence, was attracted by the holy lives of the first Friars of the Servite Order. She consecrated her life to God, devoting her time to prayer and works of penance and charity. She is properly considered among those women who, while continuing to live in their own homes, adopted a Servite way of life. Juliana occupied a singular position among these women, so that the tradition of the Order has considered her the foundress of the Servite Sisters. She is noted for her devotion to the mother of the Lord and for her love of the Eucharist. St. Juliana was canonized in 1737 and her feast celebrated on June 19th. St. Philip Benizi was born in Florence, Italy in the thirteenth century. He entered the Servite Order and was subsequently ordained a priest. In 1267, he was elected prior general and remained in office almost until his death. He served with wisdom, developed excellent laws, and fought to keep the Order from being suppressed. Recognized for his holiness, he attracted many to enter religious life and follow his example of Gospel values and the service of Mary. Because of his strong influence, he has been considered a “father of the Order.” He died in 1285 and was canonized in 1671. His feast is celebrated on August 23rd. 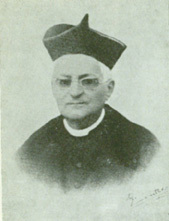 St. Anthony Pucci was born in 1819 at Poggiole, Italy. He entered the Servite Order at the age of eighteen. After his ordination to the priesthood he was sent to Viareggio where he was soon made pastor, an office he held for forty-five years, until his death. He gave himself totally to the service of God and Our Lady, and with loving care he was a father to all his parishioners, especially the needy. He died January 12, 1892 and was canonized in 1962. His feast is celebrated January 12th. Blessed James was born in Citta della Pieve, in central Italy, about 1270. Trained in law, he became a defender of the poor and oppressed. At his own expense he restored a church and hospice outside the gate of Vecciano, where he cared for the poor and sick with great love. When in 1304 James defended the rights of the poor he incurred the hatred of a powerful man who then had him killed. The townspeople gave him the title of “Almsgiver,” and in 1806, he was beatified by Pope Pius VII. Joachim was born about 1258 in Siena. At the age of thirteen he was received into the Servite Order by Saint Philip Benizi. He lived in the communities of Siena and Arezzo and there he gave an admirable example of devotion to the Blessed Virgin Mary, humility and charity. He loved others so much that when he was unable to console an epileptic with words he asked for and obtained from God that he might take the sickness upon himself. He died in 1305. Elizabeth was born around 1428, probably in Cremona, Italy. From her childhood, however, she lived near the Servite Church of St. Barnabas in Mantua and there became associated with the friars of the Order. She received the Servite habit and was distinguished for her chastity as well as her love for the Eucharist and Mother of God. She died in 1468. Benincasa was born around 1375, probably in Montepulciano, Italy. He entered the Servite Order as a youth and lived a life of solitude and penance. He died about 1426 and his body is at present venerated in the parish church of St. Leonard in Monticchiello. Pope Pius VIII approved devotion to him in 1829. Francis was born in Siena in 1266. Because of his love for the Blessed Virgin he entered the Order of Servants of Mary when he was twenty-two years old, and shortly after was ordained to the priesthood. He was noted for his charity, his preaching, and his good judgment in counseling those who came to him. He died in 1328 and his body is venerated in the Basilica of St. Mary of the Servants in Siena. Benedict XIV approved devotion to him in 1743. James Philip was born in 1454 in Celle di Monte Chiaro in the diocese of Faenza, Italy. Because of a vow of his parents, he was associated with the Order at the age of nine. He was noted for his spirit of prayer and penance as well as his love for the Scriptures and the works of the Fathers of the Church. Ordained a priest, his celebration of the sacraments demonstrated his deep spirituality and love for the liturgy. He died in 1483. His body rests in the cathedral of Faenza. Clement XIII approved devotion to him in 1761. Thomas of Orvieto was drawn to enter the Servite Order by his great love of Our Lady and his desire to reach heaven. 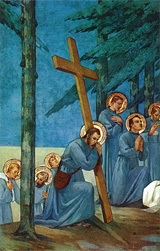 Because of his humility he asked to be admitted among the lay brothers. Often he was given the task of going from house to house seeking alms. Artistic representations of Blessed Thomas picture him carrying a knapsack with a fig branch in his hand, offering in the middle of winter, a bunch of figs to a pregnant woman who desired them. It seems that the artists wanted to depict both the solicitude of this man of God toward those who had recourse to him as well as the power of his intercession with God which was expressed by miracles. Ferdinand Maria Baccilieri was born on May 14, 1821 in the duchy of Modena, Italy. He felt called to the priesthood and in 1838 he entered the Jesuits. For reasons of health he left the Jesuits and in 1844 was ordained into the diocesan priesthood at Ferrara. From 1844 to 1851 he was a teacher and spiritual director at the minor seminary, while at the same time obtaining a doctorate in civil and canon law at the University of Bologna. 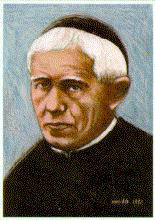 In 1851 he was sent to Galeazza in the diocese of Bologna, where he remained as pastor until his death in 1893. 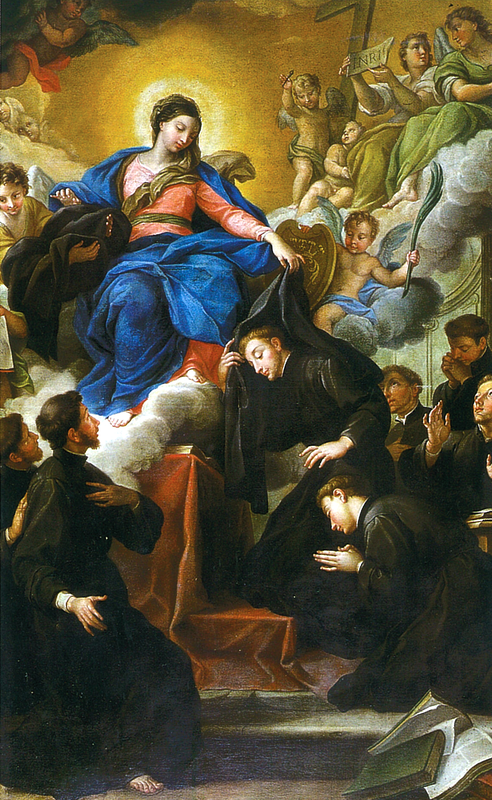 Having known the Servites in Bologna, he now promoted devotion to the Sorrows of Mary in Galeazza and founded both the Confraternity of Our Lady of Sorrows and the Servite Third Order, which he himself joined. In 1862 he founded a congregation of Servite Sisters for the teaching of catechism, the education of poor girls, the care of the sick, and help for those in need. This congregation has spread from Italy to Germany, Brazil, Korea and the Czech Republic. He was beatified by Pope John Paul II on October 3, 1999. U bald was born at Borgo Sansepolcro around the middle of the thirteenth century. He entered the Order of Servants and was ordained a priest. As a Servite friar he was noted for the holiness of his life and works. He was a close friend of St. Philip. It is said that when Philip was dying Ubald came to his friend’s bedside; Philip regained consciousness for a moment and then died in Ubald’s arms. Ubald died at Monte Senario in 1315. Pope Pius VII approved the devotion to him in 1821. Andrew was inspired by a sermon of St. Philip Benizi and so asked to receive the habit of the Servants and St. Mary in 1278 in the house of the Order in the city of Borgo Sansepolcro. He withdrew immediately to a hermitage near Borgo to live a life of penance and solitude. Both by his counsel and his works, he drew many other hermits to the Order of Servants. Blessed Andrew was their moderator. He died in 1315 while he was at prayer. Pope Pius VII in 1806 confirmed the veneration which had been paid to him. Joan was born in Florence. She lived during the first century of the Order. When she received the habit of the Third Order of the Servants, she pledged herself to the Virgin Mary. She lived a life of chastity and penance. Several ancient images represent Joan as one of the more distinguished blessed of the Order. Pope Leo XII confirmed the devotion to her in 1828. 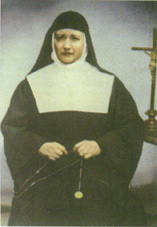 Born on September 5, 1845, in Castellamare di Stabia, the former Constanze Starace was dedicated to the Sorrowful Mother shortly after her birth.She became a tertiary of the Servants of Mary in 1867. She taught catechism and directed the Daughters of Mary, an association of young women desiring to lead a devout life in the world. Four of these women also professed vows as tertiary Servants of Mary, and they formed a small community. Several outbreaks of cholera lead her to form the Compassionist Sisters in 1869. In 1893, the Compassionist Sisters were formally joined to the Order of Servants of Mary. St. Mary Magdalene of the Passion died of pneumonia on December 13, 1921. She was beatified on April 15, 2007. B onaventure was born at Forli about 1410. He entered of the Order of Servants and became a Master of Theology. In his preaching he was noted for his courage and his wisdom. He held many positions within the Order and was known for his prudence. He lived a life of penance, loved solitude and fostered the regular observance. He died at Udine in 1491. Pope Pius X approved the devotion to Bonaventure in 1911. 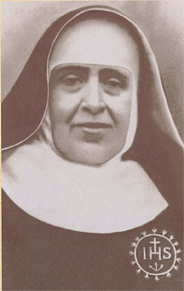 Maria Guadalupe was born in Albal, Valencia, Spain on February 23, 1881. Early in life she expressed the desire to dedicate herself entirely to God. In 1896 she was received as a postulant in the convent of contemplative Servite nuns in Valencia. She pronounced her perpetual vows on June 19, 1900. In the convent she held various offices including that of mistress of novices and prioress. Her life was marked by simplicity and fidelity, by her concern to pass on to younger members of the community the values proper to the contemplative life. When the nuns were forced to leave their convent in 1936 because of the Spanish Civil War, she found refuge with some relatives and later in the home of her sister Filomena. At midnight on October 2, 1936, she was taken by four armed soldiers in a truck and eventually killed simply because she was a nun. At first she was buried in a common grave, but in 1940, after the end of the Civil War, her remains were transferred to the convent cemetery. When a new convent was built in Mislata, the remains were taken and placed beside the main altar. She was beatified by Pope John Paul II on March 11, 2001. John Angelo Porro was born in the duchy of Milan in the year 1451. 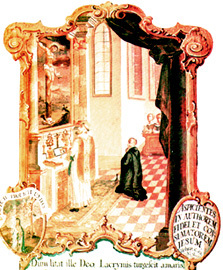 After he had received the habit in the Order of Servants of Mary, he lived for a time in the priory of St. Mary, Milan, and later was sent to the priory in Florence. Later still, he withdrew to Monte Senario so that he might give his whole life to penance and contemplation. After living at Monte Senario for almost twenty years he returned to Milan where he engaged in the careful preparation of young children in Christian doctrine. He died on October 23, 1505. Pope Clement XII beatified John Angelo in 1737. Jerome was born in Sant’Angelo in Vado, Italy, at the beginning of the fifteenth century. While still a youth, he entered the Servite monastery in his native town, and after completing his studies he served there as a priest. Jerome is best known for his love of silence and solitude, his spirit of prayer, and his ability as a spiritual director. He died about 1468. 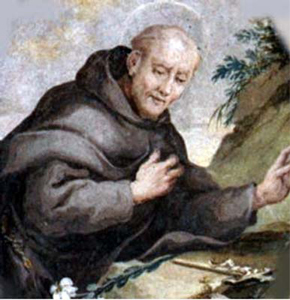 Bonaventure was born in Pistoia, Italy, about 1250. 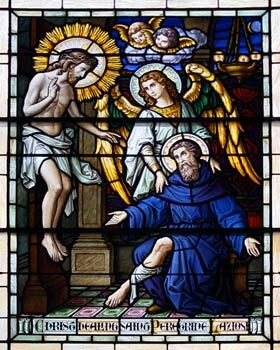 Inspired to lead a holy life by the example of St. Philip, he entered the Servite Order and was ordained a priest. As prior of various monasteries, he showed great understanding and wisdom in directing their affairs. While he was prior in Montepulciano he received the profession of St. Agnes, a young woman of that town, and helped her found a convent for nuns. He died in Orvieto about 1315. His body is venerated in the Servite church of Santissima Annunziata in Pistoia.